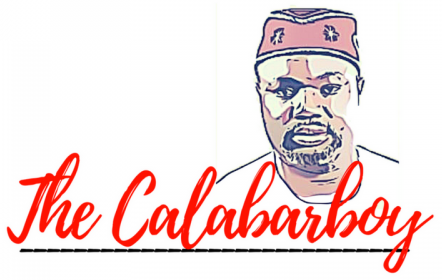 ON RIBADU AND OTHER MATTERS… | Thoughts of a Calabarboy. ON RIBADU AND OTHER MATTERS… – Thoughts of a Calabarboy. I agree to a certain extent with the analysis of some who claim a Ribadu-Adeola (Muslim-Muslim) ticket will not fly because of the primitive tendencies of the voting population. This is political realism in Nigeria due to the abuse ordinary Nigerians have suffered from our early politicians who chose to play ethnic and religious politics rather than on ideals and purpose. Its no surprise then that at a time when we should be allowing the intellectual likes of Pat Utomi and Donald Duke create a niche for idea-politik, we are still grappling with ancient and tactless strategies. For those who premise the similarity of this ticket to the Abiola/Kingibe ticket of 1993, they forget too soon that the political reality then is far removed from what it is today. Every Nigerian was united in booting out the military by any means; even if it meant a Gorilla from the forested slopes of the hinterland was to be presented on a party platform, we were ready to vote it in. So we are in a different season, when the heterogeneous filaments and antennae of the average voter is hyper-sensitive (as some commentaries have already sounded the marginalization of Ibos). Things are different now and we shouldn’t ignore this reality. But since I assume that everyone in this localized cyberspace is rich in comprehending matters of higher concern to the nation, we must never at any time be tempted to disregard the ideal and trade it for existential issues. Yes Ribadu and Adeola are both Muslim, but does that really matter? Shouldn’t we in this heavy discourse be analyzing thoroughly what their manifestos contain to see how strategic these men are in articulating the desire of the common Nigerian? Since our universities have failed to exert influence on the system by organizing national debates as done in other countries, then we as verified loyalist to Nigeria’s cause must raise this issue to the fore and educate ourselves before we make choices based on cosmetic ratings. Of the three major parties; PDP, CPC, and ACN, how do we elevate a discussion to that of principles over personalities, religion and ethnicity? This is the challenge of our democracy. If we contribute to perpetuating the current system, then we must also accept any form of allegiance politics when it begins playing out. I am flustered that the first reaction of most Nigerians to Ribadu’s nomination of a running mate was a consideration of religion. If this is the foremost concern to Nigerians shouldn’t we all be listening to our Imams and pastors on who to vote? Now it seems we are back pedalling to the 1960s where religion played a major and defining factor on who to vote for. This is simply retrogression in an already existing state of parochialism, and it saddens the heart to see even peers who are very enlightened give in to negative exigencies such as this. I have met Ribadu twice and he must have wondered who is this leech of a boy questioning me. I did so just to test and see what picture of the future had formed in his mind. So I am informed on who the man and his desire for his nation is. I know Fola Adeola and can admit to his intellectual prowess and impeccable business record. But does that translate into critical leadership capacity for millions of people? I have also listened to both Buhari and his running mate Bakare and have done a lot of background research on these. I also volunteered for Goodluck’s campaign when he came to the US and can claim to be slightly in the know of how well his leadership skills have been honed. I did so merely to gain proximity and figure out what he was up to. Of all these men I have made a choice and I have done so based on some measure of information gathered. I have no interest on where they come from, what religion they cling to, or what party they belong to. I am only interested in what they can bring to the table that is time tested and proven to be the only charted course of great leadership, and that is their strategic plan of action. If we weigh down the matter to simply considering a plan of action and the steps for execution, then we can begin an honest assessment of who will deliver and who should be the right help-meet. We seem to be very critical when assessing businesses, but less so when dealing with politicians. Of a truth no one will deliberately put their money into a business that has not carefully explicated on a plan of action. It follows then that none of us should put our political capital into any candidate who has not stated in very clear terms what they will do. We should not give in into any highfalutin rhetoric which we know never translates into tangible reality. I am looking forward to critical discussions on the manifestos of these contestants, taking these documents apart and and see if we can piece them sensibly together given existing facts and figures. This I believe is what we should be talking about at this stage and not shallow, reductionist, and trivial concerns.